The company N. Georgakopoulos Sons - A. Sofikitis O.E. is an industry of cutting, elaboration and marketing of marble and granite. Based on the knowledge of it's founder Nikos Georgakopoulos the company built a modern factory in Sangri of Naxos where you can find all our up-to-date technological equipment. 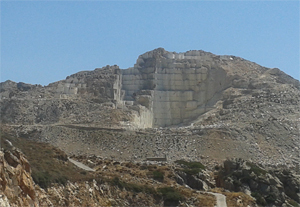 We mostly work with local Naxian marble which we get from the island's quarries. Our products can be applied in floors, stairs, orthomarble, fireplaces, and plenty constructions in kitchens, bathrooms and elsewhere. 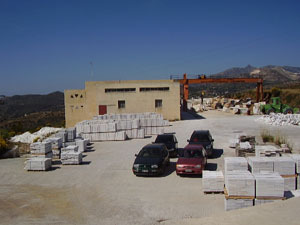 We supply with our products many places in Greece and we have also exported small quantities in the past. Our family tradition and the experience we have gained all these years, makes us believe that we can perfectly handle the requests of our demanding customers.